Last year, as the game was launched, we promised to further develop it by adding new storylines, missions, abilities and game modes. Well, the X-Mercs team is true to its word! We already have lots of plans, ideas, and content, which will be introduced to the game step by step. There are already new features that you'll see in the upcoming updates. On this page, we’ll be keeping you up to date on everything you can expect in X-Mercs' future. Follow the news! Some newest weapon prototypes with special characteristics yet to be discovered have appeared in the game. 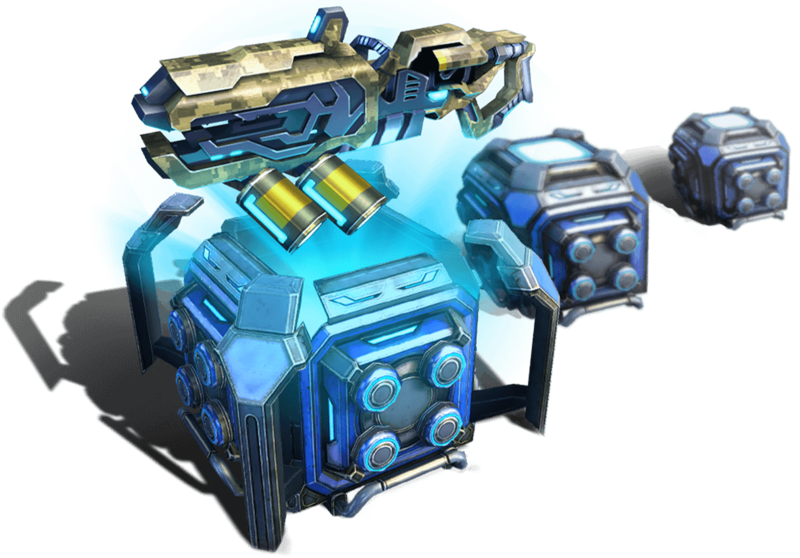 You have a chance to try out the best weapons even before they are developed by your researchers and added to your arsenal! Gained credits can be used to upgrade your current weapons or armor! To make this possible, we'll be introducing a chip system, which can be used to permanently upgrade your equipment. 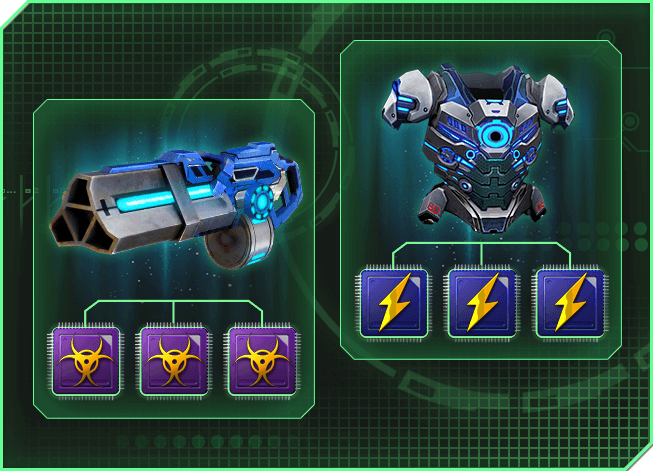 Each item from the main weapon or armor sets, starting from Caseless Firearms and Advanced Armor, can be upgraded with chips. The effects you get upon installing the chips will vary from a basic damage increase to shield penetration and the ability to stun your enemy senseless. For a long time, players have been asking to be able to get rid of items they no longer used, and get resources that they need in the game in exchange. 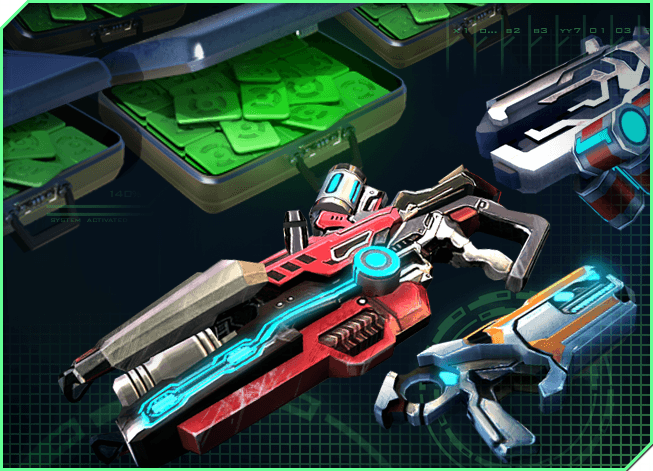 We've been planning on introducing this function from the very beginning, so this is how it will work: you will be able to sell outdated weapons, armor or gadgets via the special menu and gain additional credits. A number of credits will be determined by the level and characteristics of equipment being sold.